peach tart — Tree-Ripe Citrus Co.
A recent transplant to Milwaukee, Chef Gregory León was originally born in Oklahoma but grew up around the kitchen table in Venezuela. For the past eighteen years he has been cooking his way up the line in some of the hottest kitchens in San Francisco, including Universal Cafe, Poesia, and Tapeo. Gregory describes his style of cooking as uncomplicated but with depth, always seasonal and with a soul. He is fond of the flavors of Spain, Portugal, Venezuela and The Deep South. To sharpen his culinary skills, on several occasions he worked and traveled extensively throughout Spain and France. Not only is Chef León’s experience in the preparation of food and day to day operations of the kitchen but also in the opening and rebranding of restaurants. Gregory’s current passion is the focused preparation of meals that highlight the amazing bounty of Wisconsin at his ‘pop-up’ restaurant, Amilinda. On Saturday nights, Gregory transforms The National Cafe into Amilinda, where diners are treated to a four-course dining experience. Carol Deptolla of the Milwaukee Journal Sentinel said of Amilinda, “Delicious meals like this make me tell my friends, 'I know a place you should try.'" 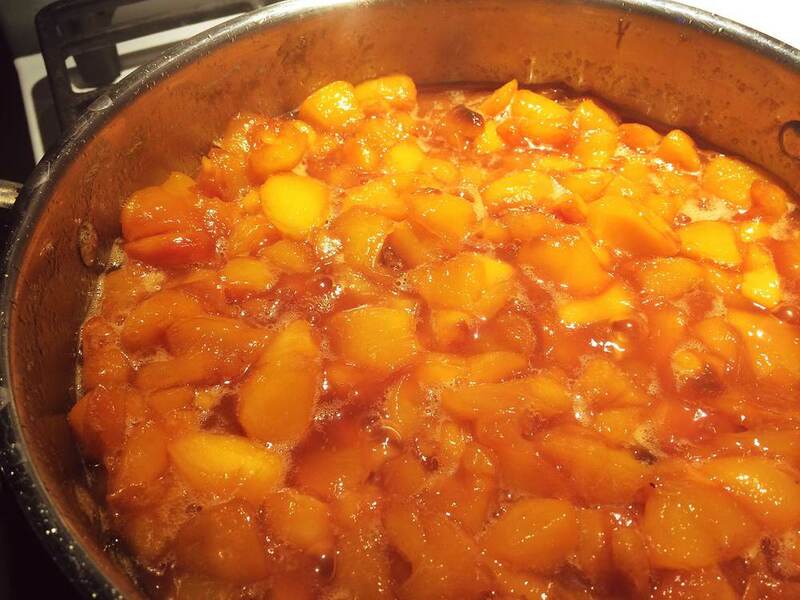 Chef Gregory featured Pearson Farm peaches from Tree-Ripe Citrus Co. in July. He was kind enough to share not only his recipe for Peach and Amaretti Tart but also his photos of how he made it. We hope that you’ll treat yourself to this simple yet delicious dessert with your Tree-Ripe Peaches! Pre heat the oven to 425 degrees. On a lightly floured surface, roll the dough into a 12” circle about 1/6” thick. Line the tart pan(s) with the dough and let rest in the refrigerator for 10 min. Fill the tart pan(s) with the filling, smooth the top. Place in the middle rack of the oven and bake for about 30 to 45 min. The crust should be nice and golden around the edges and the top of the tart(s) should be slightly dry. Cool Completely before serving.